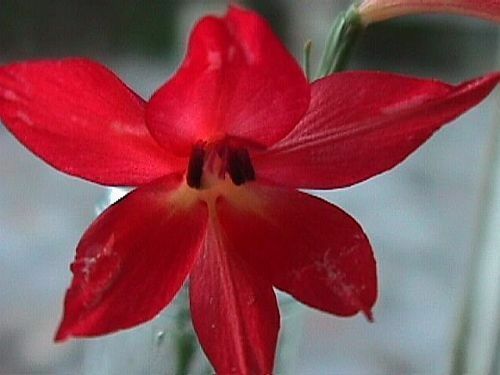 ﻿Gladiolus priorii syn. Homoglossum priorii is a sword lily native to the southwest Cape of South Africa. It is very showy with its tubular red flowers with yellow throats.